Keynote by Dr. Ellen Jorgensen is co-founder and Executive Director of Genspace, a community biolab. She brings DIY-Bio to the conference. Her experience from the previous conference was the experience of “people want me only for my visual cortex” – contributory projects that are science led. Ellen interested in Public driven, public analysed of citizen science. Scientists are in the group by their voice is not stronger from anyone else. Publication is not the only major goal. DIY bio started in Boston our of the iGEM competition, with the development from SynBio – a level of abstractions that allow genetic engineering that opens up the ability of amateur to join genetic engineering. DIYbio is a mix from maker movement, synbio and cheap DNA & second-hand equipment. The core question for her was: Can the general public join in to understand molecular biology better? The biohacking labs came up through crowdfunding for equipment, then finding space. Genespace started about space in NYC in someone’s kitchen. The interesting thing was that people were fascinated by something that at work, she did every day. Taking pictures of the DNA going in the gel. Recreate space where we enter science – interesting, cool, and enquiry and tinkering, while ensuring that it is safe. Started doing things like going out to a park and extracting DNA from fruit and veg in a local market. Strawberry DNA extraction – to people to establish a lab was a radical idea. The press continues to be interested – creating community biotech lab fascinated and raised questions. The model is a membership organisation and also doing outreach and exploring. In order to facilitate the place, they hooked people on their advisory board – e.g. the head of safety at MIT. They found that membership wasn’t enough, and they started running classes – exposing people to biotech, and after classes people joined. At the beginning, a lot of personal time was invested before the organisation become established. There was a lot of interest from artists who wanted to explore bio-art, e.g. the work around picking up chewing gum, and suggesting reconstruction of faces from that which caused a big noise. They developed the organisation by working with other bodies in order to gain legitimacy. Joining an iGEM competition with college students was extended to high school. 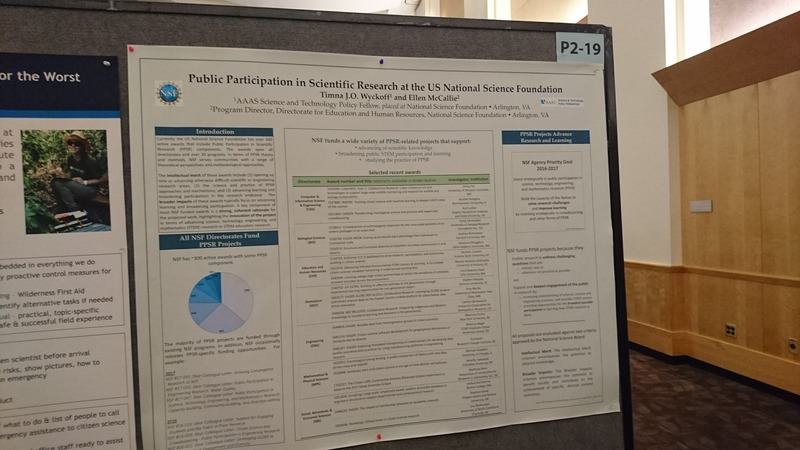 The issue with the default outreach is that people with higher science capital found about genespace, but not local communities or people from less strong socioeconomic background, they now have a programme that reach out to public schools in Brooklyn and she is involved in active outreach to under-represented groups. The balk of the citizen science work was from people that took the class, so the issue was to consider how to increase engagement. She brought from Alaska plant sample, and that was entry point to a more intensive project. Guwanus Canal project, analysing bacteria that are living in an area that is about to be reconstructed – all sort of atypical life forms that can be potentially used to address polluted area. About 50% was not identified, so there is plenty of things to learn about it. And there is a website on the microbiology about the canal and there is also presentation. The space is also supporting entrepreneurship – for example, OpenTrons that build cheap rpipette,pette , and that can allow it to be used in more laboratory, and the interface is much better. From California came “real vegan cheese” they had a range or project. Some projects are really controversial – making a glowing plant. The controversial thing was done on kickstarted – it was showing public interest in GM product, plus the issue of giving seeds raised major opposition. There is also an open insulin project to try to re-engineer bacteria to make insulin which was one of the early projects. Very few people can get into deep engagement, but it is worthwhile to allow exploring projects that won’t emerge in regular paths. The community is diverse and a way to address genetic engineering, through the experience with children. The way they operate is to allow people to use space for any project – for profit or not for it, the way they want. Genespace project a platform for people to work, and they need to fit into the space and the safety procedures. Biosafety law is to be careful and not amplify something that is unknown. Jacqueline Vadjunec* – Oklahoma State University/ Department of Geography; Todd Fagin – Oklahoma Biological Survey; Nicole Colston – Oklahoma State University, Department of Geography. The 5 state area is one that have a lot of environmental stressors – where the dust bowl started. Her routes are in Participatory Action Research, with links to liberation theology and human centred approach. An approach that includes all stakeholders and it doesn’t privilege the researcher or the science. Science is valued as traditional knowledge. She was trained in the tropics, and it’s a project about a long-term drought that started with self funding. Some entry points for using participatory methods for citizen science – developing questions and deliverable together. They started assisting a citizen science project about data sharing on hydrology and involving geologists and local hydrologists – they now getting into grant writing. Another thing is to support local museums – archiving, extracting data from microfiche and all sort of support activities. She also using the interaction with the community as a teaching opportunity for the student that work with the needs of the students. Another thing is creating safe spaces for discussion on contested issues. They have done a lot of participatory mapping and capturing hazards and risk mapping. Local knowledge plenty of time matches scientific analysis. They created storymaps as a way to share information – discussion over what is shared and not. Willing to help the community and support their work. The advantages – better science and ensuring that data is verified with local knowledge, increased participation. It brings strong social capital, and ethical issues as the core. On the challenges, it require a lot of attention and agreeing to do things. Mark Foggin, Altyn Kapalova, Lira Sagynbekova, Azamat Azarov*, Evgenii Shibkov, Aline Rosset, Jangyl Ismailova, Samat Kalmuratov, Christian Hergarten – Mountain Societies Research Institute, University of Central Asia – Working in Kyrgyzstan and describing two projects with communities. The learning landscape initiative are about creating long-term monitoring of social and ecological systems, and they want to work in different countries. Citizen science is seen as integral to the learning landscape initiative. The area is dependent on agriculture and livestock, so agro-pastoral practices and there was land degradation, there is a lack of environmental data since independent, and there is no data sharing between research and local land use decision-making bodies. They carry out their study in Naryn province -a mountain environmental virtual observatory using weather station, cameratraps and cybertracker. and a specific “Kyrgyz mountains environmental education and citizen science project”. The project provide better climatic data and information about wildlife – specifically in Salkyntor National Park and Naryn State Nature Reserve. There are challenges in maintaining data collection by pastoralists. The work with schools and shared information. 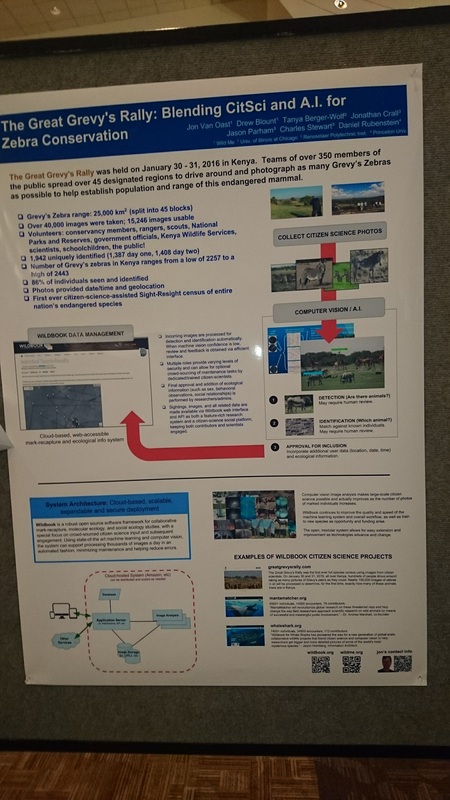 Cybertracker design was done by experts for pastoral community and national park. Madhusudan Katti – North Carolina State University – the first nations protocol: giving thanks to the first nations on whom their land we’re holding the conference. What we are doing can erase previous systems of knowledge. What is that we know about nature and how we understand it? How our knowledge decay and can be restored? Humans pay attention to nature – stars, animal, environment. We have our mind that we put forward – we are a way for the cosmos to understand itself (Carl Sagan). Formal science is one way of knowing ourselves. We pay attention to nature – diverting people from screens. Paying attention and acquiring knowledge, depend if you need to live on nature, or is it mediated through technology and markets. Those living in the city may know where the near coffee shop. Direct connection to nature can lead to an understanding of nature that also can help ecologists. He mentioned about changed in local ecological knowledge. When a relationship are extractive – just paying to provide information, it can cause unexpected cultural changes, while working together with an ecologist, there was mutual knowledge exchange that enhanced the experience of nature for both sides. Science and technology can also destroy existing knowledge systems and mutual appreciation can increase the pool of knowledge. Peter Donovan – Soil Carbon Coalition – As a society we manage issues piecewise that looks at different issues, instead of looking in a more holistic way, with skirmishes between different people and interests. Beyond all of it, there are the carbon and water cycles. “Humankind is nature becoming aware of itself” Eliee Reclus (1905) – this is beyond coupled human/nature systems. One way to improve knowledge is to have participatory shared intelligence, leading to appropriate results. If we have bottom-up asset based approach that can help in thinkings on carbon and water cycle. We need to consider repeatability: location, measuring before and after, open data, and people willing and capable to report. Further information is in socialcarboncoalition.org – facilitating shared intelligence about assets that are supported by communities. Lea covered the federal community of practice – to community of practice was bottom up and 300 members – a dynamic learning network. Some agency had citizen science and they reached out to new areas – agency staff worked in silos and 2011 they started linking people together to create connections to share best practices. The worries where trust – data quality, administrative (paper reduction act) and other things. In 2011 convened the Commons Lab in Wilson Center and start to commissioned studies on the “science of citizen science”. They identified barriers and the need to create a toolkit for the federal government to address the needs of these bodies. They tried to align the work with decision maker priorities (e.g. open government, innovation) and also political support. The also addressed legal issues – bring lawyers from the start, increase the funding, inform legislation, provide support to Holden memo. Amy Kaminski, NASA at NASA they considered how they can increase acceptance of citizen science – both employees and the scientific community. NASA got strategic goals with funding, in-house personnel and agreements with external entities – they are doing research on space and Earth science through space-based missions. Projects such as Stardust@Home and other projects. Citizen science is an exception, not the norm. Science community lack of familiarity – thinking that it’s not science just outreach, questions about data quality, and also facing the review panel and its conservative approach. Applicants don’t take the risk. They created funding opportunities, create a community of practice and explicitly introduce to it in the umbrella language that points to it. They are also fostering collaborations with open innovation communities. Alison Parker*, ORISE fellow hosted by the US Environmental Protection Agency; Barbara Martinez, Conservation X Labs. Considered how crowdsourcing and citizen science at the EPA. Talked to many researchers and scientists at the EPA – it’s the issue “I want to use it, but… “. The paperwork reduction act – administrative structure that requires any data collection from the public need to develop information collection request, publishing twice and requesting permission – this is a major hurdle. There is a report from Robert Gellman who suggested to Embrace the bureaucracy, or have umbrella clearance that will be used for other activities – each project gets approval from OMB, and that facilitate it in 2 weeks instead of several months. The EPA went through activities to create this approval – starting in March 2015 and approving it in April 2016. They used the ECSA Ten Principles contributed to the policy formation and help to define what falls under citizen science. The way to improve adoption was to take several trends: citizen science, IoT, Smart Cities – they made the Smart City Air Challenge to deploy hundreds of sensors to monitor continuously. They received 22 submissions and demonstrated interest. There was partnering with a local organisation – Open Air Baltimore and Lafayette network are deploying system .Citizen scientists are eager to engage with an issue that they care about, partner with others, and share their knowledge. The NACEPT (National Advisory Council on Environmental Policy and Technology) report provided a start but they started the process but it is just the beginning. The community of practice wanted to raise awareness, try to streamline the ways to approve it and provide resources – growing the network – not only bottom-up but also top-down. Regarding funding – for small not-for-profit working on disadvantaged communities, complex grant applications are a major obstacle due to funding and time resources. The way to solve that might be to work together through partnerships with government bodies that might have the same goals as you and build personal relationships. Design issues at USGS – the original users are the internal scientists who provide the gold standard set for the process, and also working locally. You must engage with people early on. Interconnecting these two fields – citizen science and science communication to discuss it together. “Citizen Science is one of the most dramatic development in science communication in recent years” (Lewenstein) – the talk will explore how science is communicated towards the public. She start from a description of a scientist (Hanz) who have knowledge, expertise, and methods. When it comes to the public, Hanz thinks of deficits that the public have – cognitive deficit, lack of interest, deficit of knowledge – it’s a value judgement. The model was challenged – – in 2016 the journal of science communication explored if the deficit model is dead or not. The literature said that when going to science communication, the deficit model is still there in the way scientists talk to the public. In the 1980s, with the report from the Royal Society, there was a talk about moving toward dialogue and engagement – the scientist get out of the house of science, and now experience face to face integration with the public and seeing the range of ideas and approaches that are there. Kaplan concepts of two communities showed different concerns, language and focus. In citizen science, the communication is more complex – if the project doesn’t do the science communication well, then people go away. The scientists are also not in control – there is an exchange of ideas among the participants, expertise from both sides, traditional knowledge. So what are the main form of a contributory project – need to find out how to motivate people, train, inform, instruct, educate, disseminate, inspire, provide feedback. In a co-created project there are fewer people and the interaction is more intense, and the participants have their own concerned from personal concerns, to issues about their work – so the science communication aims are different – there is an exchange, negotiations of commons aim, collaborate, create agree and discuss, listen and disseminate. It is important to understand. The main driver for sci comm in citizen science include a dialogue on a par – not everyone has the same power, but it is more about respect. Relevant to communicate things that are relevant to the audience that was to participate. It is important to have transparency about what is happening and what is not happening. Finally you need engagement. There are four key players: scientists, citizens, media, and also communication mediators. 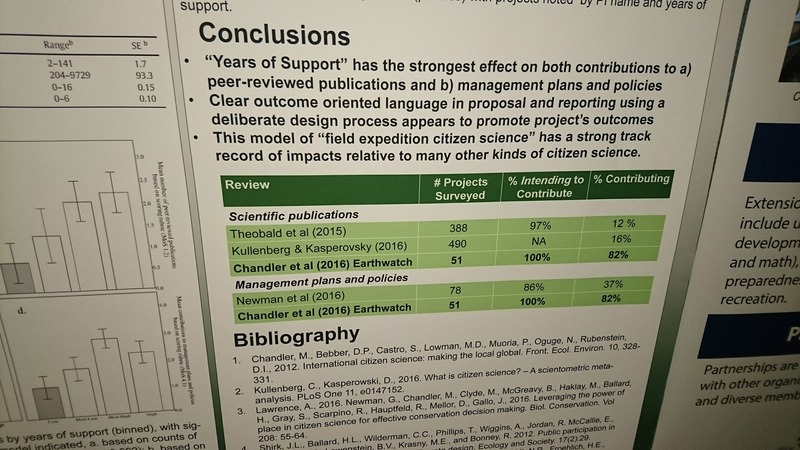 Valuing citizen science participation for an academics? Where citizen science work and doesn’t work? How do you create a voice to the participants? What is the long-term impact on volunteers? What model of communication are you assuming? How different perception of science influence participation? What are our responsibility? What levels of scientific literacy among participants? How to communicate to policy makers and decision makers the results? There are three meanings there are two complex: measuring, identify cases – practical things, then there are things of the implications of how we thinks about academia. For many years, there were scientists engaged in policy for people who scientists who engaged in policy process where citizen scientists. There was citizens engaged in science policy through consensus conferences etc. Finally there was participation in the scientific process. He then covered the Irwin/Bonney view of citizen science. Irwin takes the view of engagement in a political and democratic way in science – how publics engaged with the governance of science. Some of the practical questions about communication hit this deeper issue. There is the use of Matthew Fontain Maury who was written out of history despite major mapping effort, because of the competition with the scientific establishment – only the special will know. Maury viewed as something that everyone can contribute – he was Southerner and moved out when the war started, as well as being difficult person, was a reason to write him out. Seeing science as elitist has prevailed since. Part of the problem with the naming of citizen science is coming from the political aspects – is it about opening science or building up forms of elite knowledge. Increase in education might be about challenging the process of challenging expertise – the point of shifting from deficit to engagement are about things that influence the process which are about more complex relationship of knowledge. There are all sort of knowledge, and the deficits are more than just about scientific literacy – think about science literacy within the community. The deficit model assume that the problem is that if problems will just disappear and they see it in the same way as scientists – but they will have different views and understanding of the world. There is also implicit knowledge that is hard to articulate. Transfer of knowledge doesn’t work simply and require transformation of the knowledge – an underlying assumption that everything will be better if we pass the information. There have been cultural shift within the scientific community that they want to be much more informed about science communication.